Scholars suggest that public mental health stigma operates at a meso-level and is associated with severity of symptoms, disclosure, self-esteem, and treatment-seeking behavior. However, the operationalization of public stigma nearly always comes from an individual-level generalization of what others believe. 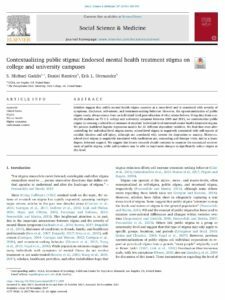 Using data from over 60,000 students on 75 U.S. college and university campuses between 2009 and 2015, we contextualize public stigma by creating a school-level measure of students’ individual-level endorsed mental health treatment stigma. We present multilevel logistic regression models for 21 different dependent variables. We find that even after controlling for individual-level stigma scores, school-level stigma is negatively associated with self-reports of suicidal ideation and self-injury, although not associated with screens for depression or anxiety. Moreover, school-level stigma is negatively associated with medication use, counseling and therapy visits, and to a lesser degree, informal support. We suggest that future research should continue to examine the contextual environment of public stigma, while policymakers may be able to implement changes to significantly reduce stigma at this level. Researchers increasingly use correspondence audit studies to study racial/ethnic discrimination in employment, housing, and other domains. Although this method provides strong causal evidence of racial/ethnic discrimination, these claims depend on the signal being clearly conveyed through names. Few studies have pretested individual racial and ethnic perceptions of the names used to examine discrimination. The author conducts a survey experiment in which respondents are asked to identify the races or ethnicities they associate with a series of names. Respondents are provided with combinations of Hispanic and Anglo first and last names. Hispanic first names paired with Anglo last names are least likely to be recognized as Hispanic, while all versions of Hispanic first and last names are highly recognized (≥90 percent). The results suggest that researchers must use caution when trying to signal Hispanic ethnicity in experiments, and prior findings from correspondence audits may be biased from poor signals. Online correspondence audit studies have emerged as the primary method to examine racial discrimination. Although audits use distinctive names to signal race, few studies scientifically examine data regarding the perception of race from names. Different names treated as black or white may be perceived in heterogeneous ways. I conduct a survey experiment that asks respondents to identify the race they associate with a series of names. I alter the first names given to each respondent and inclusion of last names. Names more commonly given by highly educated black mothers (e.g., Jalen and Nia) are less likely to be perceived as black than names given by less educated black mothers (e.g., DaShawn and Tanisha). The results suggest that a large body of social science evidence on racial discrimination operates under a misguided assumption that all black names are alike, and the findings from correspondence audits are likely sensitive to name selection. Racial inequality in economic outcomes, particularly among the college educated, persists throughout US society. Scholars debate whether this inequality stems from racial differences in human capital (e.g., college selectivity, GPA, college major) or employer discrimination against black job candidates. However, limited measures of human capital and the inherent difficulties in measuring discrimination using observational data make determining the cause of racial differences in labor-market outcomes a difficult endeavor. In this research, I examine employment opportunities for white and black graduates of elite top-ranked universities versus high-ranked but less selective institutions. Using an audit design, I create matched candidate pairs and apply for 1,008 jobs on a national job-search website. I also exploit existing birth-record data in selecting names to control for differences across social class within racialized names. The results show that although a credential from an elite university results in more employer responses for all candidates, black candidates from elite universities only do as well as white candidates from less selective universities. Moreover, race results in a double penalty: When employers respond to black candidates, it is for jobs with lower starting salaries and lower prestige than those of white peers. These racial differences suggest that a bachelor’s degree, even one from an elite institution, cannot fully counteract the importance of race in the labor market. Thus, both discrimination and differences in human capital contribute to racial economic inequality. This study uses a field experiment to study bias against living with Arab American women, a group whose position in the U.S. race system remains uncertain. We developed fictitious female white and Arab American identities and used the audit method to respond to 560 roommate-wanted advertisements in four metro areas: Los Angeles, New York, Detroit, and Houston. To focus on social—rather than purely economic—biases, all responses identified the sender as college-educated and employed and were written in grammatically correct English. We compare the number of replies received, finding that Arab-origin names receive about 40 percent fewer replies. We then model variation in discrimination rates by proximity to mosques, geographic concentration of mosques, and the percentage of Arabs living in a census tract so as to test ethnic competition theory and the contact hypothesis. In Los Angeles and New York, greater discrimination occurred in neighborhoods with the highest concentration of mosques. The theory of action behind the No Child Left Behind Act of 2001 is that “shining a light” on subgroup performance will increase reading and math test scores for minority and disadvantaged students. 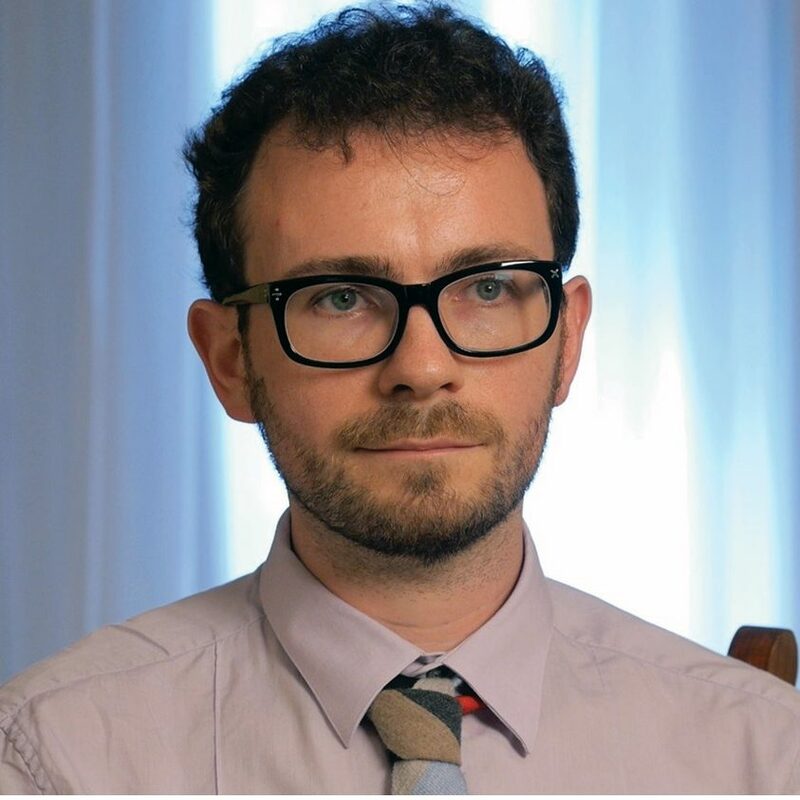 Using a panel of all students in Grades 3 through 8 in North Carolina from 2000 to 2008 (N = 1.7 million students in 1,800 schools), the authors estimate double- and triple-differenced models with school fixed effects to examine whether subgroup-specific accountability threats increase high-stakes test scores. These sanctions are found to have positive effects for minority and disadvantaged students. Larger positive effects emerge for the lowest achieving schools rather than schools near the margin of passing. Some evidence of adverse effects is also found for low and high achievers in math, but not in reading, a finding attributed to the combination of increases in the rigor of state standards in math and responses to an accountability metric based on test score status rather than growth. The implications of the findings for the design of educational accountability systems are discussed.